An exquisitely designed slipper bath, the Hampton immediately takes centre stage in the bathroom, creating a bathing space of unparalleled sophistication and elegance. 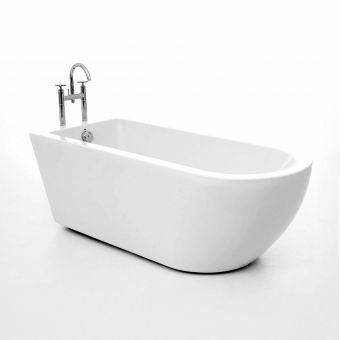 Raised at one end, its asymmetric profile adds a sense of Parisian luxury to the interior, while offering total user comfort. 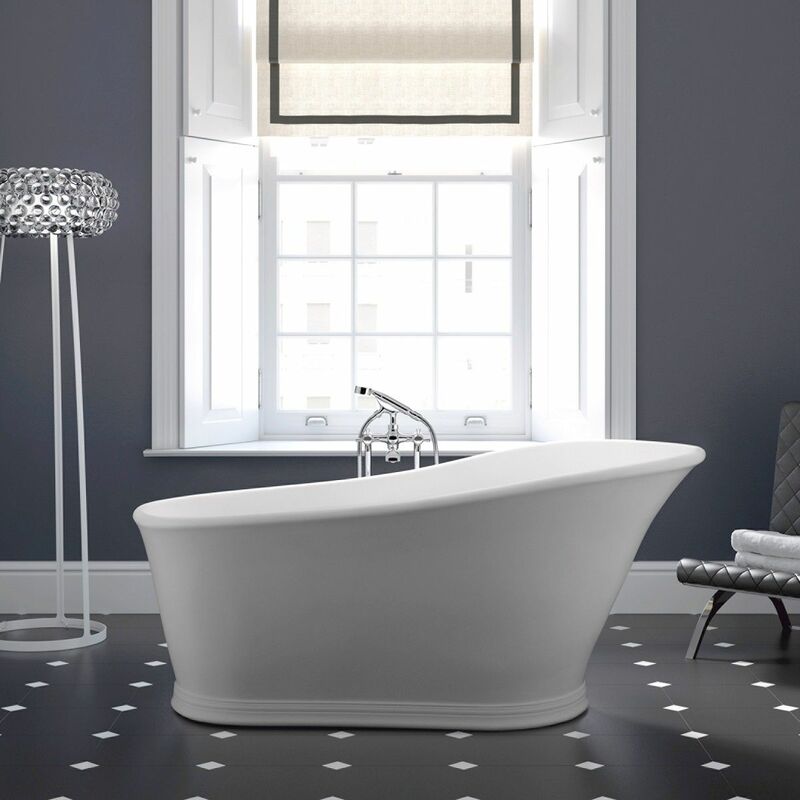 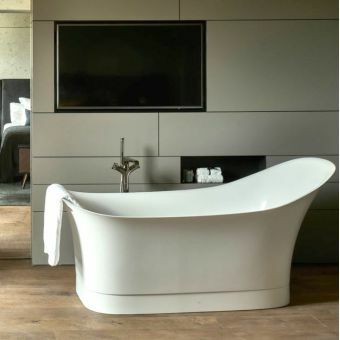 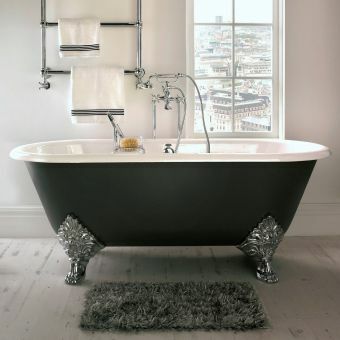 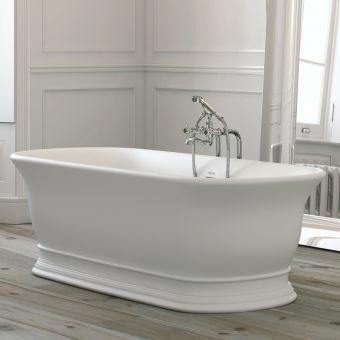 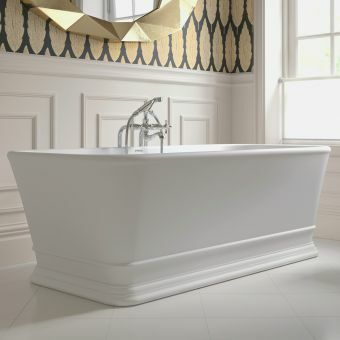 Raised on a plinth that adds a sense of architecture, this free-standing bath can be positioned anywhere in the room. 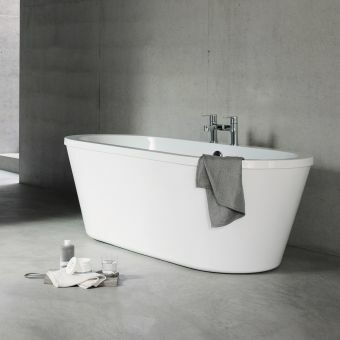 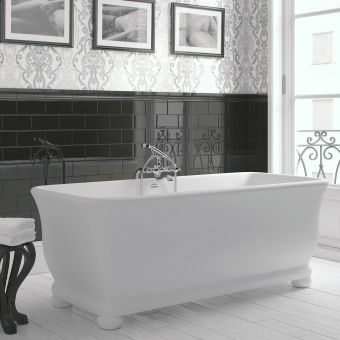 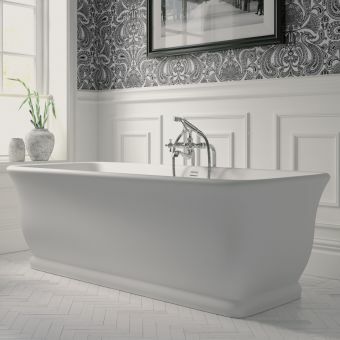 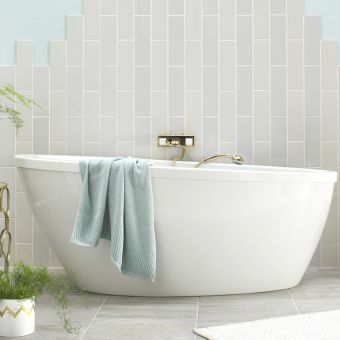 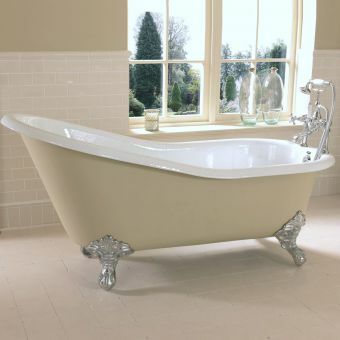 This tub requires either a free-standing bath filler kit, or with wall-mounted taps for a unique look. 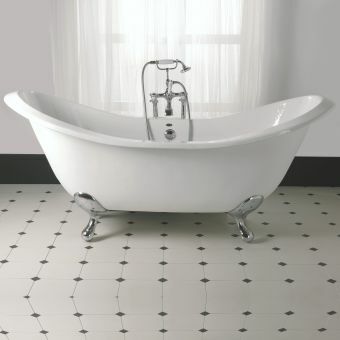 Coated with the patented Imperial Cian Solid Surfacing, its unique blend of resin and mineral ensures it looks fresh for years. 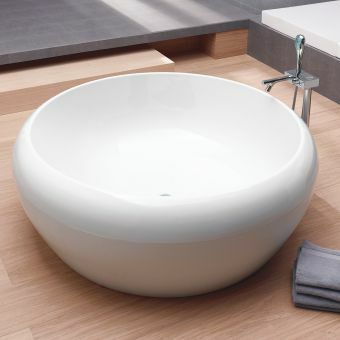 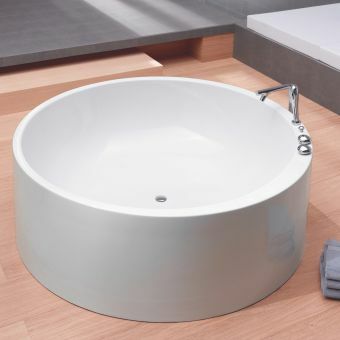 This tub measures 575mm in height, 1590mm wide and 785mm in depth.